A classroom replacement scheme for Nottinghamshire County Council. 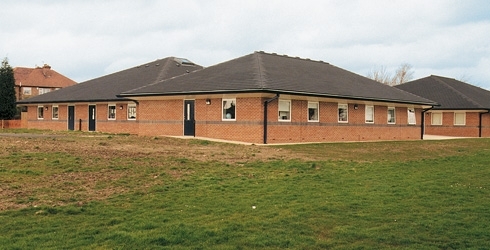 Phase 2 (£456,000) provided four new classrooms, a staff room, a general office, the Head Teacher’s office and a library. Phase 3 was negotiated and linked another two classrooms to the Phase Two building as well as providing a new dining hall, the refurbishment of the existing assembly hall and resurfacing works. Work completed by Woodhead Education, specialists in construction for education; enhancing education for all, working in schools, colleges and universities to design, build, refurbish and maintain educational spaces.